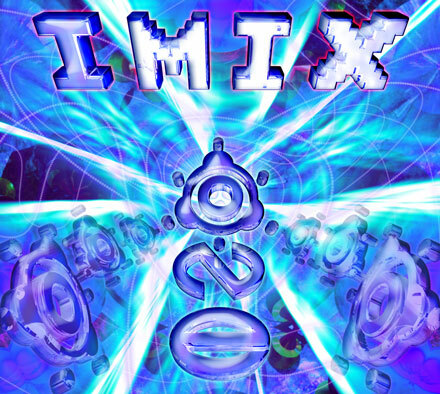 Artist Album "IMIX - ONE "
IMIX aka DJ Anza is one of the premiere Psytrance producers hailing from the central European hot bed for trance culture, Austria. After producing 5 other dance floor blasters that all received critical acclaim released on hot rising labels from around the world he now has pulled out all the stops to bring us a 10 track masterpiece! From beginning to end you are treated to a lushly produced magical voyage that delivers on so many levels. To ensure a the highest quality far above the crowd Imix spent serious studio time with top experts from around the world refining his sound with the these technical gurus. The results are a quality level that can’t be denied, coupled with “pristine” mastering at world famous Geomagnetic Studios based in the USA psychedelic capital, San Francisco by veteran producer and proven master engineer Ross (Random) Dubois. Use these tracks to focus your thoughts and calm your mind while your body is given a pure energy boost from the cosmic galactic oneness. IMIX and the top International trance master producers collaborate to bring you dance floor hits from: Patchbay, 40%, Chaostherapy, Tacticmind vs Ultravoice, Beatfriends, and Psyboriginal.